School District of Monroe administrators strived for several years to be a leading Wisconsin district at using data on a daily basis. While many smaller school districts face financial challenges despite any initiatives they have related to data warehousing and analytics, Monroe persevered and searched intensely for a solution that would enable a data-driven culture in the district — particularly related to special education and intervention strategies. Prior to 2012, Monroe did purchase a data warehousing system, but it didn’t fit specific needs the district had, mainly related to custom reporting the district needed. Director of Pupil Services Joe Monroe said teachers and administrators had no shortage of performance data at their fingertips. The district just wasn’t necessarily using the data to drive instruction on a daily basis because the data wasn’t in a user friendly format, or it was disaggregated among different systems. In late 2012, AllofE developers began implementing the Matrix data warehousing system, giving Monroe teachers and administrators one place to go to analyze comprehensive performance data – including WKCE state assessment, NWEA MAP, AIMSweb, DIBELS and College Ready (EXPLORE/PLAN/ACT) data. As part of the implementation, developers were able to customize key pieces the district needed. This included bringing in both percentile and scale scores for WKCE and NWEA MAP. 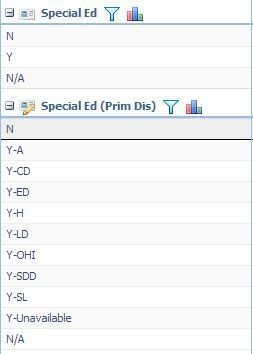 Matrix also included the ability for administrators to sort special education demographic data down to a specific disability a student has. The scalable architecture of Matrix has given Monroe administrators and teachers the familiarity of reports they are accustomed to using and added power, particularly the ability to get a more holistic picture of student performance with so many different data sets side by side. These were two huge pieces Monroe found lacked with other systems or their own internal processes. Now with Matrix in place, Monroe administrators and teachers can concentrate on creating strategies around the data to drive instruction and work on improving student performance. Their hope is that other small districts won’t inhibit their own data-driven initiatives based on a fear that a high-end data analytics and warehousing system is out of reach and cost prohibitive. "We feel very good about the Matrix system and feel that we are learning more each day we use it. We truly appreciate the willingness to work with us to develop tools within the system to meet our needs."